Canada’s largest city has tons of modern architecture to photograph. 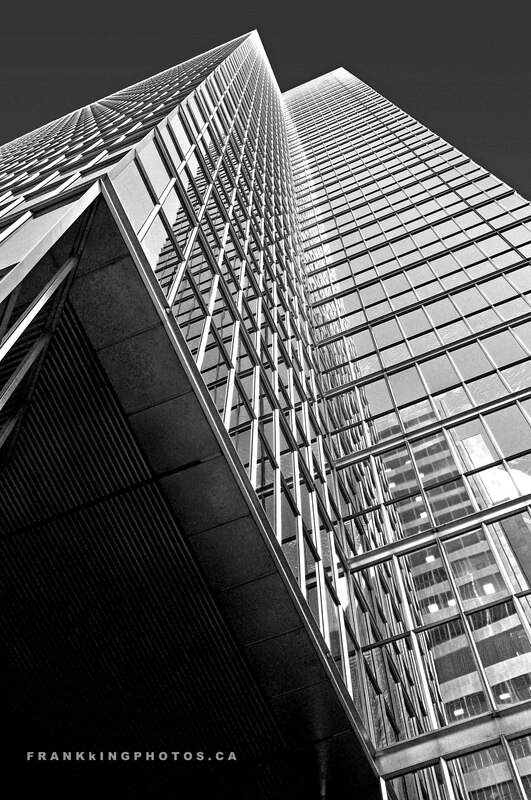 This structure is near the intersection of King and Bay streets, which is the nation’s financial heart. The colour version has a strong blue cast (which I like), but this version has a greater sense of drama (in my humble opinion). Nikon D7100, tripod, polarizing filter.